If you want to know what sets the super affiliate apart from the mainstream affiliate marketers then this article from professional affiliate Mark Ford will give you a 5 step blueprint to affiliate marketing success. 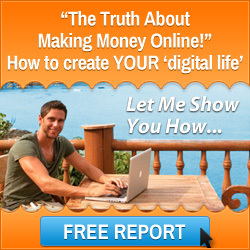 Affiliate marketing is a fantastic business model for anyone who is looking to start an online business. The reason for this is that it is quick to set up and offers a low cost entry to the world of online business. Another reason is that the profit margins can be incredibly high as long as you know what you are doing. As an affiliate you will be connecting buyers with pre-existing products and services that are being made available by the product vendors. The benefit of this to you is that you can leverage proven products and services without having to endure the expense of creating and developing the products and services. When you successfully connect a buyer, and they take the action of purchasing the offer, you will then receive a commission. Commissions are often paid on a fortnightly or monthly basis so you can be sure that your business will have a regular amount of money flowing into your accounts. So now we have got the basics of affiliate marketing out of the way I want to get more specific about how to promote affiliate products so that you can become a super affiliate and get results just like the professionals. I see it over and over again that new affiliates just focus on chasing the money and getting a sale. To them it is the be all and end all but this is very short sighted. The super affiliate will concentrate on communicating with their leads and prospects to form a bonding relationship. They constantly provide value to their subscribers which builds trust and the subscriber then begins to know, like and trust the affiliate. Never adopt the strategy of hard selling as it will drive people away. Instead you should concentrate on telling people what they want to know. Look at how you can help people get over the problems that they are suffering from. If people can see that you genuinely want to help them then they will buy from you. Hopefully you can see the benefit of “telling” and not “selling”. The super affiliate will never promote sub-standard products and services. Although the products and services are not your own it is still your reputation on the line. You are recommending solutions to individuals and if they are rubbish then your credibility will be blown out of the water. You should believe in everything you promote and the best way to do this is to become a consumer of the product. In other words put your money where your mouth is and buy the product and service. Then you will be able to give a 100% honest review and recommendation. Don’t fall into the trap of sending people directly to the affiliate programs website. Set up your own authority website with information about the products and services that you promote. Here you can establish yourself as an authority in your niche so that you build a loyal readership. Concentrate on providing value and you will find that people will click on your affiliate links and then go onto purchase what you are promoting. Affiliate marketing and digital marketing in general evolves everyday. There are new strategies springing up so it is very important that you keep learning your trade. The best way to do this is to surround yourself with like minded people that you can network with. You will find that you become a part of a community that is always on hand to help you and that you can learn from. My recommendation is the Six Figure Mentors. They have a community of thousands of highly motivated entrepreneurs along with the most advanced affiliate marketing and online business training and mentoring programs. I have shared with you information that will help you to become a super affiliate and given you some resources to fast track your success. 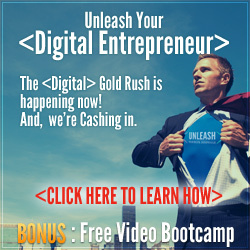 Open your account with the Six Figure Mentors by clicking the banner below and watching the webcast from one of my online business mentors, Stuart Ross. 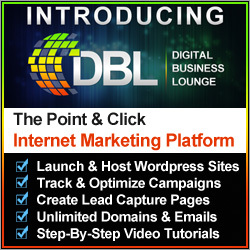 Click on the banner below to find out more information on affiliate marketing. I wish you every success in running your home business from anywhere in the world and profiting by becoming a super affiliate. 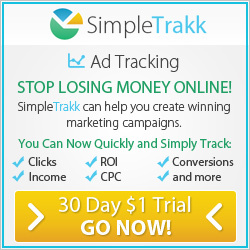 This entry was posted in Affiliate Marketing and tagged mark ford, super affiliate. Bookmark the permalink.